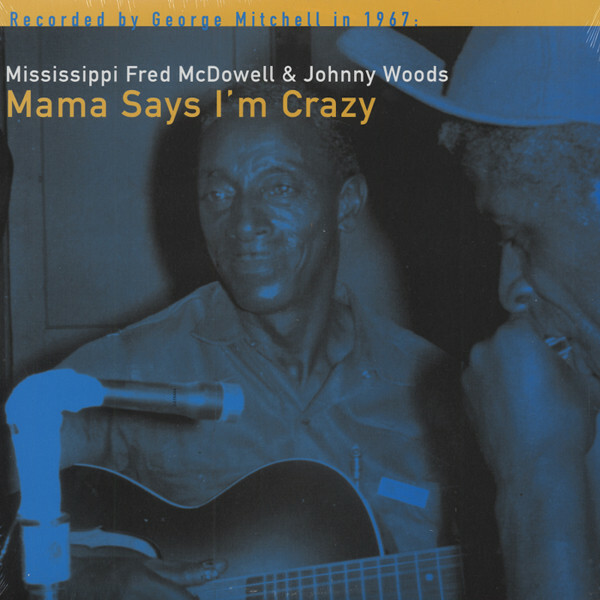 Musicologist Alan Lomax roamed the back roads of the South during the early 1940s, discovering and recording Mississippi bluesmen Muddy Waters and David 'Honeyboy' Edwards for the Library of Congress (see the first disc of this set). Lomax hit the road anew in 1959, this time on behalf of Atlantic Records. Portable recording equipment had come a long way. The mammoth disc recorder Lomax once hauled had been replaced by a stereo reel-to-reel tape rig. Lomax came across a slide guitarist in Como, Mississippi that was easily the equal of his prior discoveries: Mississippi Fred McDowell. That nickname was a bit of a misnomer; McDowell was born in Rossville, Tennessee on January 12 of either 1904 or '05 (he wasn't sure which). His uncle Gene Shields taught him how to play slide with a beef rib bone when Fred was just a lad (he eventually used the neck off a Gordon's gin bottle). Local musicians Raymond Payne and Vandy McKenna showed him some licks. McDowell finally corralled his own guitar in 1940, when he moved to Como after some years in Memphis. He wed Annie Mae Collins in Como (she would be his frequent duet partner on the religious pieces that constituted a good portion of his repertoire) and played local dances but mostly farmed. Then Lomax rolled into Como during the late summer of 1959 and changed Fred's life forever. During a lengthy field session at McDowell's domicile, the guitarist laid everything he had on tape for the folklorist, including the haunting, slide-soaked Keep Your Lamp Trimmed And Burning, which had been recorded in December of '28 by slide master Blind Willie Johnson. Atlantic included several of Fred's debut tracks on a series of Lomax-produced albums in late 1960, introducing a new blues giant born over half a decade prior to Robert Johnson. By 1962, other researchers were finding their way to McDowell's door. Testament Records owner Pete Welding and Arhoolie label boss Chris Strachwitz issued a series of excellent McDowell LPs over the next few years. Fred played the 1964 Newport Folk Festival, his pungent slide proving very influential to a young Bonnie Raitt. He was convinced to go electric in 1969 for a set waxed at Malaco Studios in Jackson, Miss. ironically titled 'I Do Not Play No Rock 'n' Roll.' The Rolling Stones covered McDowell's You Gotta Move on their 'Sticky Fingers' LP in 1971. But the slide specialist didn't have long to enjoy the royalties he'd share with Rev. Gary Davis; stricken with cancer, he died July 3, 1972. Stardom came uncommonly late to McDowell, but he wore it magnificently. Customer evaluation for "Mama Says I'm Crazy"